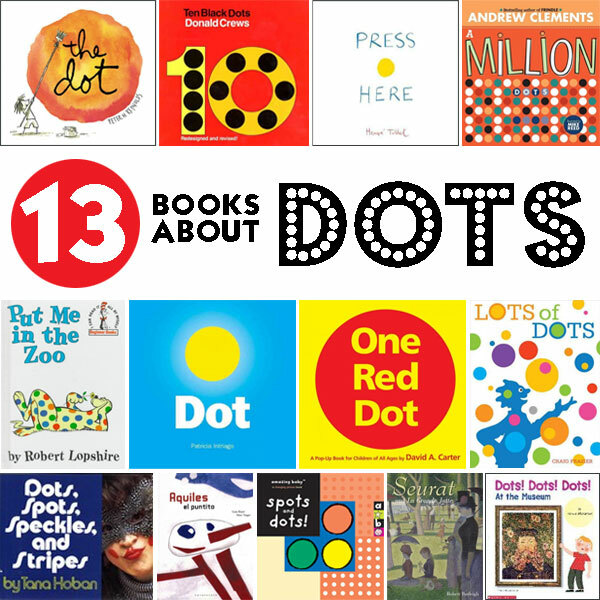 In case you hadn’t heard, today is International Dot Day – an annual celebration of creativity created by Peter H. Reynolds, author of The Dot (J PICBK REYNOLDS), a picture book about a girl named Vashti who believes she can’t draw, until her art teacher’s encouragement changes her mind. Press Here by Hervé Tullet (J PICBK TULLET) – Instructs the reader on how to interact with the dots in the illustrations. Put Me in the Zoo by Robert Lopshire (J READER LOPSHIRE) – About an animal who can do amazing things with his spots. Ten Black Dots by Donald Crews (J PICBK CREWS) – A counting book, a book of simple rhymes, and a book of everyday objects. Also available in Spanish. A Million Dots by Andrew Clements (J 513.211 CLEMENTS) – Learn facts about numbers, and see one million dots! Dot by Patricia Intriago (J PICBK INTRIAGO) – Pairs of circular shapes convey opposite relationships in the arc of a day. And a bonus Dot activity: Fall Pointillism Painting. Draw a tree and create leaves with dots of fall colors.